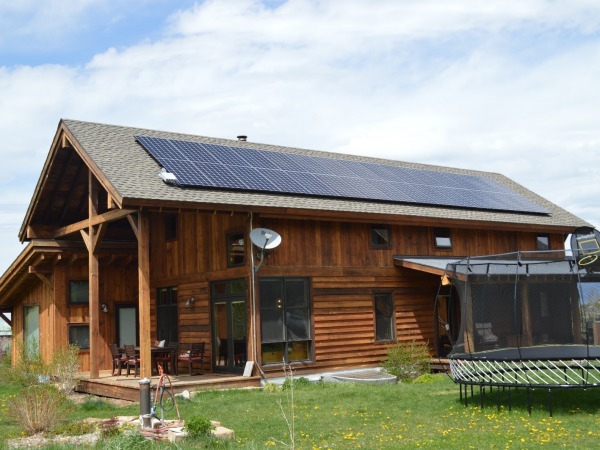 This home in the outer reaches of Gallatin County is inhabited by a young couple and their two children, and like many others in the area they wanted to seek clean, renewable power production for their daily electrical needs. But they also had a practical focus on a back-up power supply; the ability to pump water from their well, keep their boiler controls functioning, and keep their store of game meat frozen during an extended power outage was a major goal for the project. 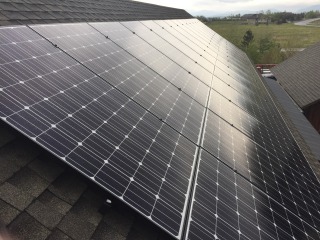 OnSite Energy applied it's custom design/build services for their home, their mechanical systems, and the customer's energy habits to achieve this goal with a state-of-the-art 'grid-tie battery back-up' solar system. Solar for Back-up Power in the Gallatin Valley, MT! 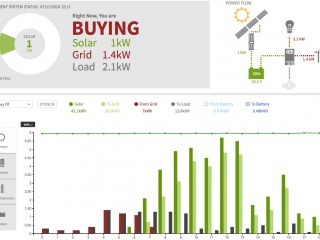 The implementation of a back-up power system more difficult than a standard net-metered system because to have a fail-safe system, you have to carefully calculate the amount of power you will need when all your appliances are operating at the same time during an outage, as well as the amount of cumulative energy all of those appliances will consume over the course of a 24-hour period. 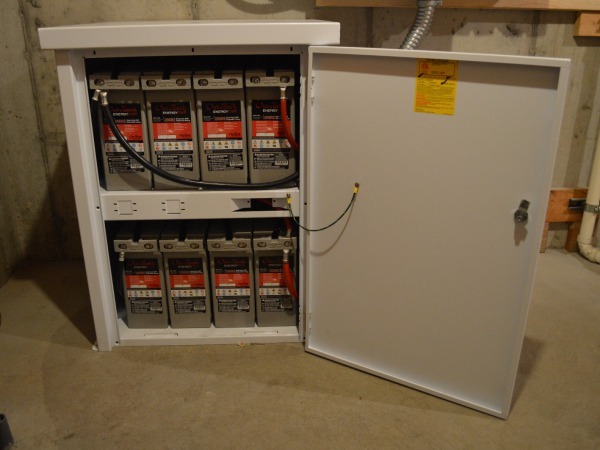 These calculations determine the size of the inverter that you need (in kiloWatts of power) as well as the size of the battery bank that you need (in Amp-hour capacity). 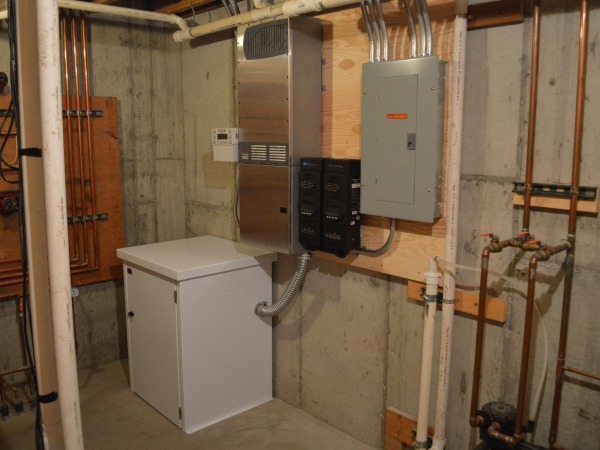 This all takes a close investigation of the mechanical systems of the house and the owner's habitual usage of those systems, and at times the owner needs to make some hard decisions between which of those systems they want backed-up and how much they are willing to spend on their solar system components. System performance data is viewable online with Outback's Optics RE software.